To password-protect a PDF file, use Microsoft Office 2013, which can open and convert PDFs or Adobe Acrobat, the gold standard. Alternatively, use one of several PDF utilities available on the Web. These alternate tools vary widely in feature set, quality, price and dependability -- some may be downright dangerous and will install unwanted programs or even viruses on your system. Two highly rated tools are PDFescape, an online PDF editor, and PDFCreator, which you download to your computer. 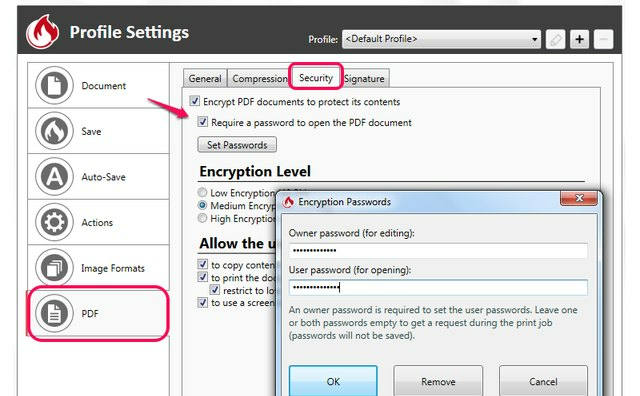 If you are lucky enough to have the full power of Acrobat, it's likely your first choice for full-featured password and encryption protection. Click **Tools** from the top menu bar to launch the Tools sidebar, select **Protection** and click **Encrypt**. Check the box **Encrypt with Password** to open the Password Security settings window. Select the check box **Require a Password to Open the Document** and enter a password. This dialog box also provides customized options for setting such permissions as allowing the user to copy the content or to print; these permissions require a separate password. 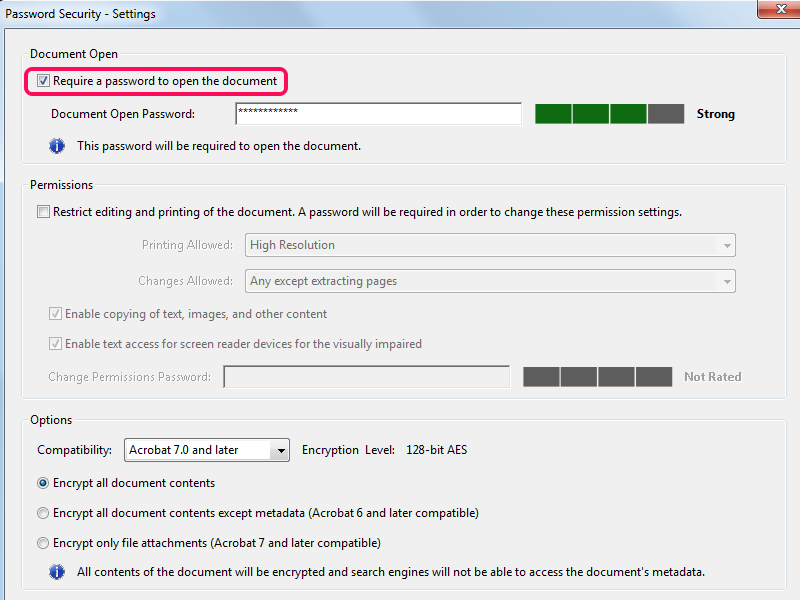 Any Office 2013 application supports the ability both to create PDFs and to password-protect them. 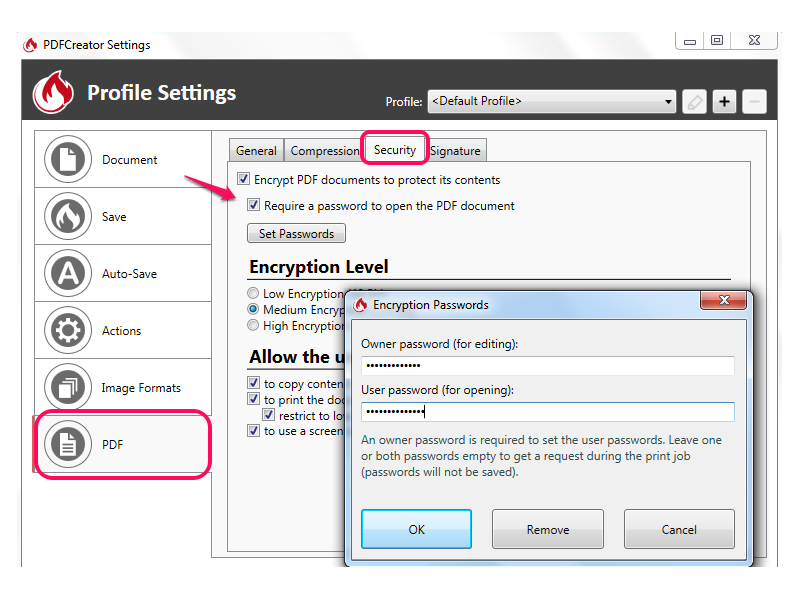 Word's PDF encryption feature is an option available when exporting a Word document to a PDF. Open your document in Word and choose **Export** from the File menu. Select **Create PDF/XPS Document** in the left sidebar, and then click the **Create PDF/XPS** button to open the Publish as PDF or XPS dialog. Don't click **Publish** yet -- first, select **Options** and check the box next to **Encrypt the document with a password**. 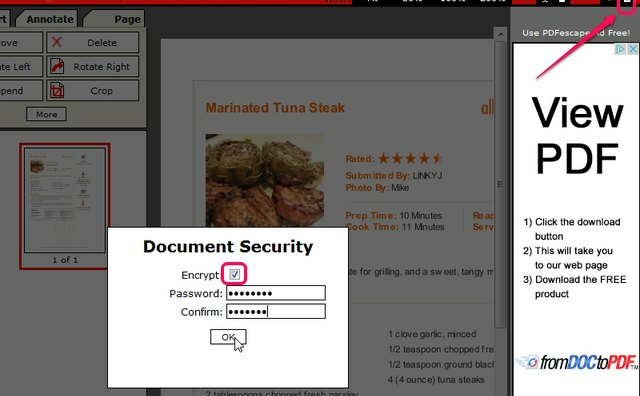 In the Encrypt PDF Document dialog, set your password. If you have an existing PDF instead, open it in Word by right-clicking the document in File Explorer, selecting **Open with** and choosing **Word (desktop)**. At that point, switch to the **File** menu, choose **Export** and follow the same procedure. PDFescape is an online PDF editor, so there is no need to download or install software; just upload your PDF to the PDFescape website. The free version limits file sizes to 10MB and 100 pages, while the paid version has no file limit at $20 per year as of publication. Navigate to the [PDFescape]( http://www.pdfescape.com/) website and select the **Edit your PDF Now** button. While you can download and install a desktop version, click **Continue to PDFescape** to use the online version. Click **Upload PDF to PDFescape**. 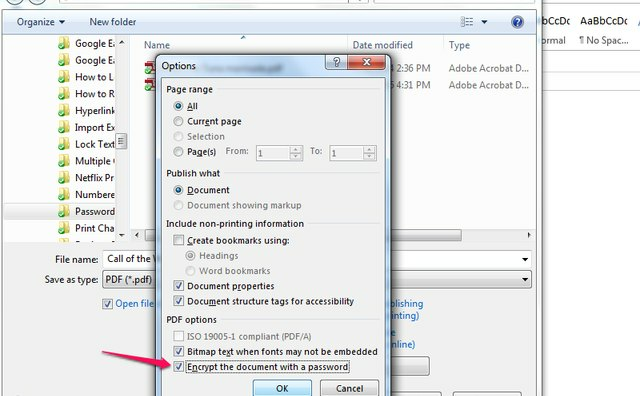 (To use PDFescape to first create the PDF, choose **Create new PDF Document** instead.) Follow the wizard's prompts to browse to and upload a PDF from your computer. When a PDF is loaded, the main interface launches. Select the **Lock icon** in the top menu to open the Document Security pop-up, check **Encrypt** and set a password. Save and download your document. PDFCreator by Pdfforge is a full-featured PDF utility that offers encryption and password protection in addition to its many other features. You can restrict access to your PDFs using a password, and also limit printing or modifying your document. 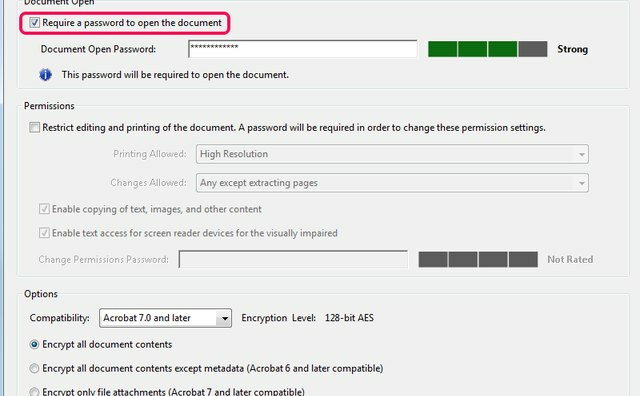 Either set your application preferences to always require a password for any PDF documents created by PDFCreator or set a password "on the fly" for individual documents. Download and install [PDFCreator](http://www.pdfforge.org/pdfcreator/download). The free version is fully functioning but displays ads. For a small fee ($5 per year as of publication), you can install the paid version, PDFCreator Plus, on up to five computers. When you install PDFCreator, it also automatically installs PDF Architect, but you don't need this to password-protect PDFs. In order to setting your preferences to always enforce encryption, launch the program, select **Profile Settings** and make sure that **PDF** is selected from the left sidebar (this is the default). Select the **Security** tab, check **Require a password to open the PDF document** and then click **Set Passwords** to define a password. To set a user password for opening documents, you must also set an owner password for editing. After you've set these preferences, open a PDF, select **Print** from the File menu and choose **PDFCreator** as the printer. Click **OK** in your Print dialog, which then launches the PDFCreator dialog. To enforce encryption for an individual PDF, open the PDF, enter **Ctrl-P** to print and choose **PDFCreator** as your printer. Click **OK** to launch the PDFCreator dialog. 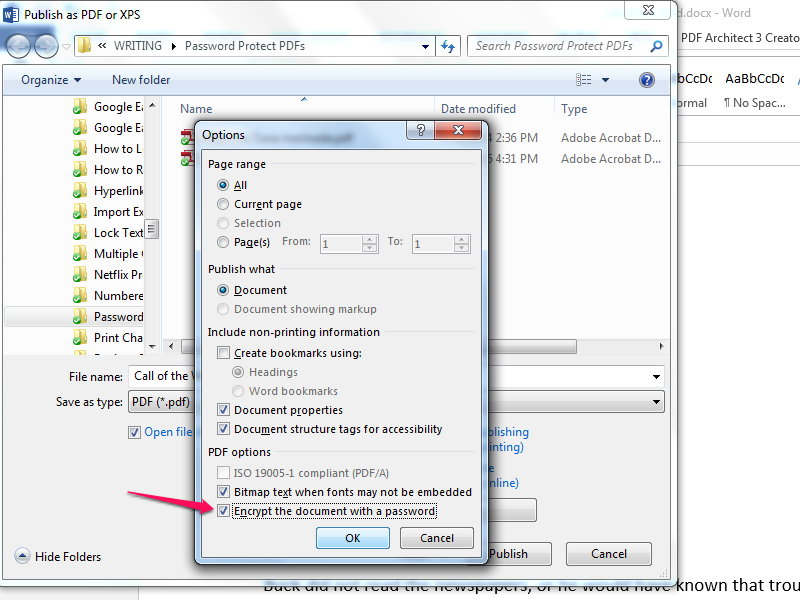 Choose **Settings** at the bottom to launch the same dialog available from within PDFCreator. 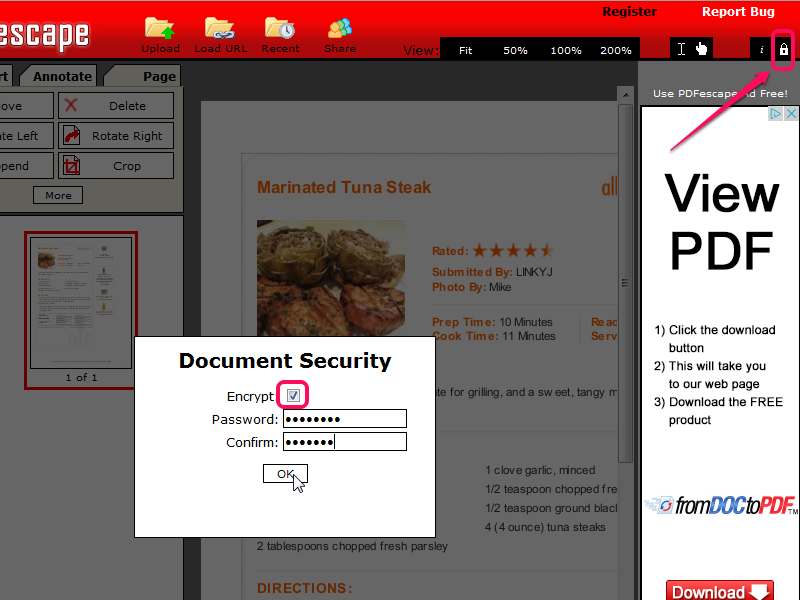 Again, ensure that **PDF** is selected from the left sidebar and click **Security**. Proceed to set a password for this document. Many disreputable companies offer PDF tools on the Web, so be careful. For example, some install software that will change your browser settings without your permission or introduce pop-up ads. Many don't have security certificates. Never install anything that is not highly rated on a reputable website such as PC World or CNET.